In the hills of Armenia lies a monastery that has been there for almost 2,000 years. 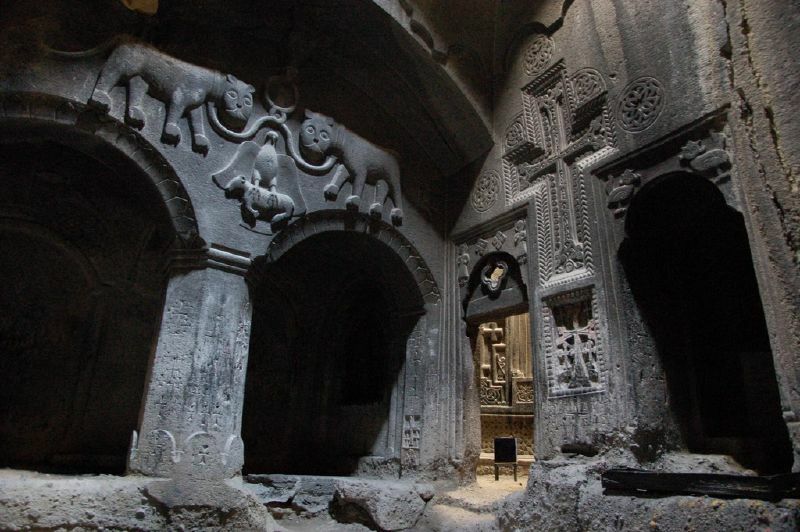 The Monastery of Geghard was a monastery built by Christian monks in the 4th century. Some of the monastery was cut right out of the rock. Other parts were made from cut rock. The monastery is most famous because it held ancient relics, including the sword that pierced Christ’s side and relics of the apostles John and Andrew. Arabs destroyed the monastery in the 9th century. Monks rebuilt it. The main portion of the monastery is built in the design of a cross. The monastery has a dome. The monastery lies in a beautiful valley in the mountains. People still come here to visit. Question: Where did the monks live? Answer: The monks lived in small rooms that were cut out of the stone mountain. Question: Was the monastery comfortable? Answer: The monastery is very dark inside because it is made of gray rock and there aren’t many windows. It was probably cold much of the year. 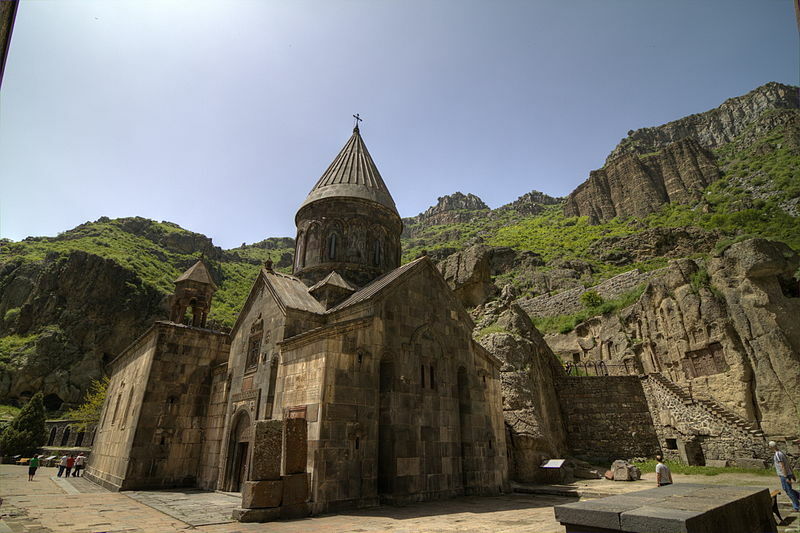 Question: Why is the monastery called the Monastery of Geghard? Answer: The monastery had thus been originally named Ayrivank, meaning “the Monastery of the Cave”. 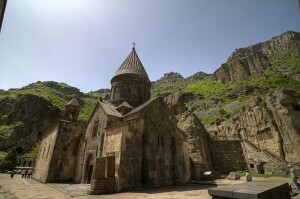 The name commonly used for the monastery today, Geghard, or more fully Geghardavank, which means “the Monastery of the Spear”. The name originates from the spear which had wounded Jesus at the Crucifixion. Enjoyed the Earth Science for Kids about the Monastery of the Cave info? Take the FREE & fun all about the Monastery of the Cave quiz and download FREE Monastery of the Cave worksheet for kids. For lengthy info click here. Declan, Tobin. " Monastery of the Cave Facts for Kids ." Easy Science for Kids, Apr 2019. Web. 24 Apr 2019. < https://easyscienceforkids.com/all-about-the-monastery-of-the-cave/ >.